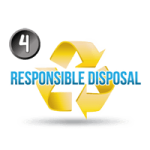 If you’ve ever been working out in the yard yourself, you know that you can easily accumulate a lot of yard debris and waste whilst cleaning up. Now getting rid of that pile of yard waste that you collected can be a much bigger headache than actually making the pile. 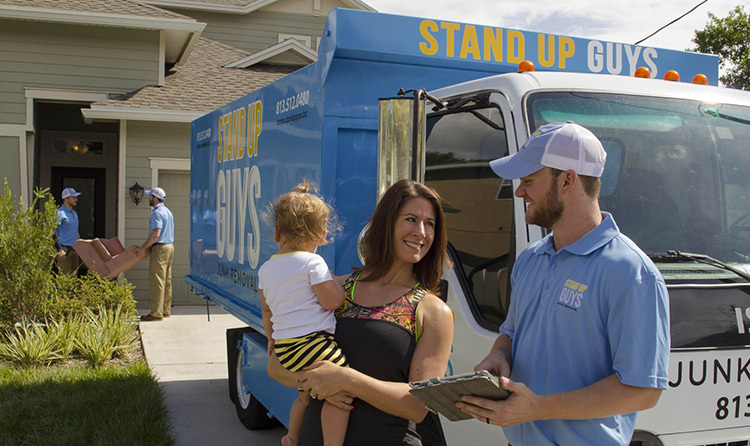 Well, good news, the Stand Up Guys Junk Removal Crew can help you with cleaning it all up, and removing all of it. We take away the stress that comes along with trying to remove your yard debris. 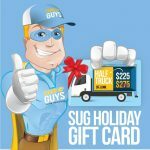 We even give you the choice, whether to do it yourself and have the professionals at Stand Up Guys to take care of the hauling. Or we take care of everything from start to finish while you sit inside and enjoy your free time, choice is yours. Either way, we’re here to help you. Whether it is tree limbs that have fallen in the yard, bushes that you have taken out of the ground, or even trimmed back, you always wind up with piles of yard debris. 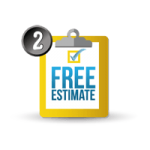 Whatever the situation may be we can take care of all your yard debris removal needs! Don’t worry about where you are located either. 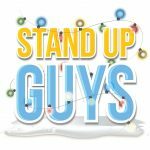 The Stand Up Guys offer yard debris removal all over! We have branches in Atlanta, GA | Tampa, FL | Raleigh, NC | Nashville, TN | Dallas, TX | Portland, OR and more! 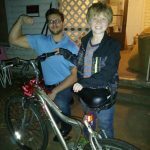 We both know you do pretty much all the hard work when it comes to cleaning up your yard, so we don’t want you to have to bother with getting rid of the debris as well. When you call the Stand Up Guys Crew your job is finally done. 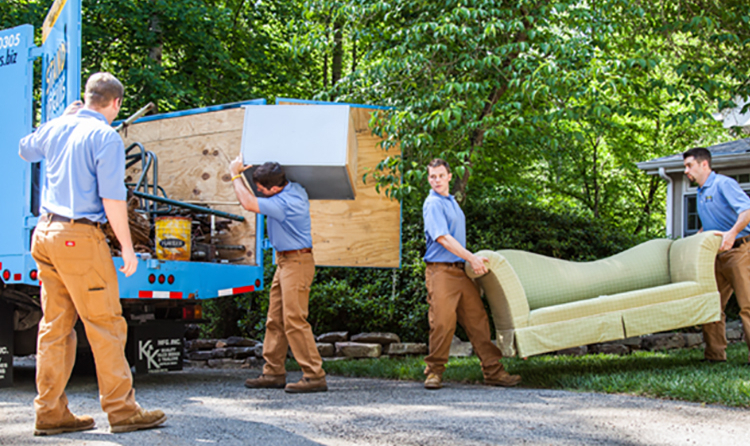 We don’t care where you place the pile of debris, or how many piles you made, The Stand Up Guys Junk Removal Crew will do whatever it takes to go get it, and haul it away. 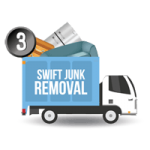 The Stand Up Guys Junk Removal Crew also do all the lifting/loading and make sure to have everything spotless before we leave. 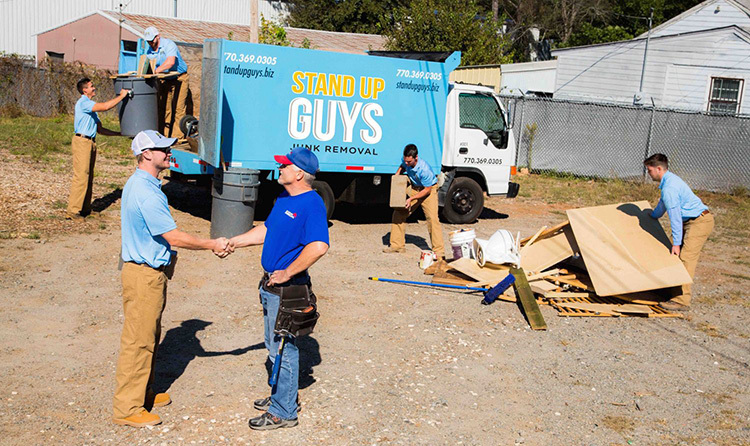 Next time you are renovating your back yard, make your life a heck of a lot easier and call The Stand Up Guys to come out and help take all the left over debris away. Junk Removal Made EasyBook Today! No credit card required. 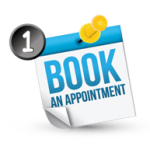 $10 off online booking.